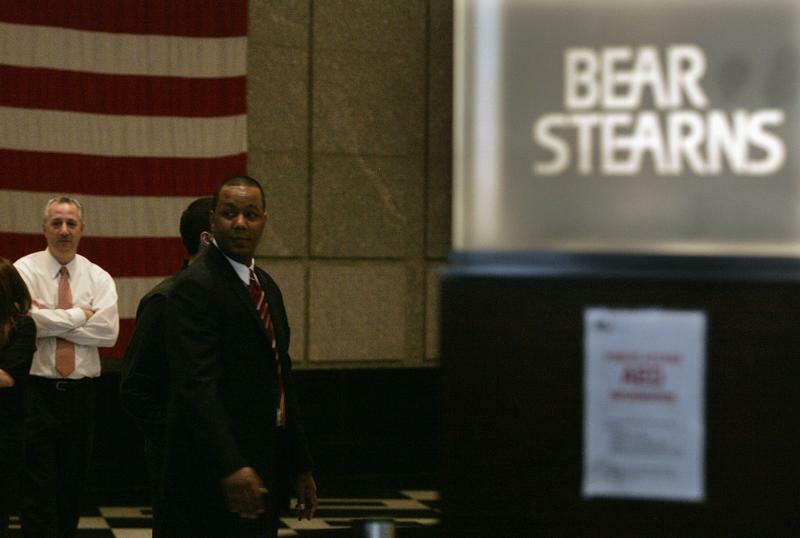 Once again, investors are facing warnings about China’s “Bear Stearns moment”. The country’s possible first domestic bond default has prompted comparisons with the sequence of events that led to the bailout of the Wall Street firm. The parallels between China’s predicament and the crisis of 2008 may be tempting, but are flawed. If the analogy has any use, it’s as a reminder of which mistakes to avoid. The first problem with identifying a “Bear Stearns moment” is that there are actually multiple moments. Strategists at Bank of America Merrill Lynch have compared the possible default of Chaori Solar to the episode in mid-2007 when two hedge funds managed by the Wall Street firm revealed the extent of their bad bets on sub-prime mortgage debt. That event, which triggered a market-wide assessment of financial risk, is often viewed as the beginning of the credit crunch. The second “moment” occurred in the spring of 2008 when Bear Stearns, on the brink of collapse, was rescued by JPMorgan Chase with the backing of the New York Fed. Confusingly, another Bank of America Merrill Lynch strategist invoked that comparison in January, after a troubled Chinese investment product was bailed out shortly before it defaulted. Both analogies serve a broader purpose: to suggest that China faces a meltdown similar to the one in the West, which started with Bear Stearns’ problems and culminated in the failure of Lehman Brothers in September 2008. It’s not surprising investors who were scarred by that episode worry about history repeating itself. In the summer of 2010, many saw similarities with the euro zone crisis. The bailout of Greece was also described as a “Bear Stearns moment”, with Spain cast in the role of the too-big-to-fail Lehman. The euro zone analogy proved false, as will the comparison with China. Though the Middle Kingdom’s financial system faces many serious challenges, the government has far greater power to prevent a disorderly collapse than its Western counterparts did. If fears of a “Bear Stearns moment” have any value, it is to serve as a reminder to the Chinese authorities which mistakes they must avoid at all costs. Employees of Bear Stearns watch as demonstrators from the Neighborhood Assistance Corporation of America protest inside the Bear Stearns headquarters lobby in New York March 26, 2008. Chaori Solar said on March 5 it would not be able to meet interest payments on bonds due on March 7, raising the prospect of what would be the country’s first-ever domestic bond default. In a note published on March 5, David Cui, a strategist at Bank of America Merrill Lynch, said that if the default happens China’s financial market “will have reached the Bear Stearns stage (when the market started to seriously re-assess subprime market risk)”. On Jan. 28 another strategist at Bank of America Merrill Lynch, Bin Gao, said the last-minute deal to save a troubled trust product from default “looks very much like the Bear Stearns moment”.